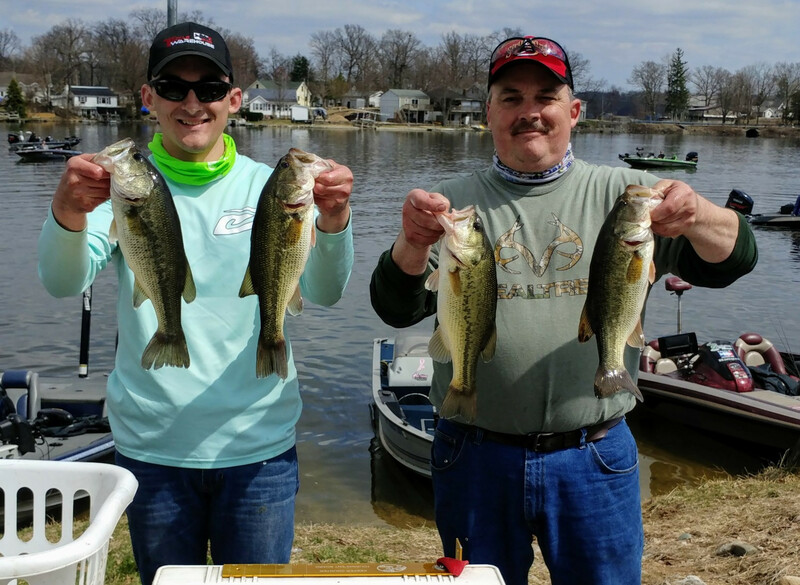 1st Place: With just 10 minutes remaining, Tom Stark and Matt Kiefer boated a 4.73 pound largemouth to claim victory over 45 teams. The big fish was the second heaviest of the event and won them $130. A 13.33 pound limit of largemouth won them $645. 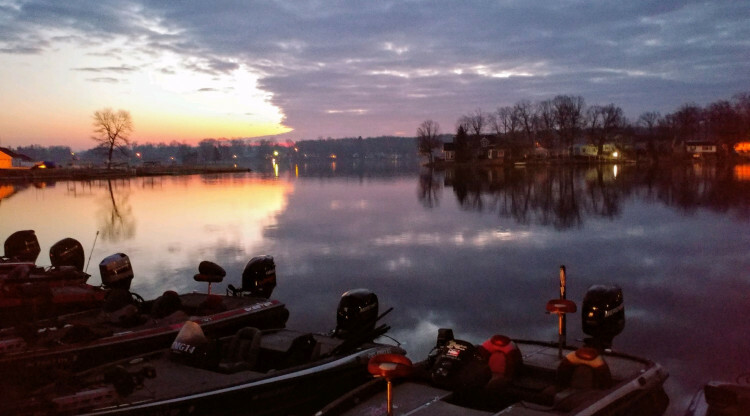 Early in the morning they caught 2 largemouth with lipless crankbaits being ripped through the grass. When this bite fizzled, they targeted docks and seawalls with bitsy jigs. Crawling them along the bottom and making repetitive casts to targets was key. The bites were subtle, but they managed 4 more keepers, including the big one in the waning minutes. 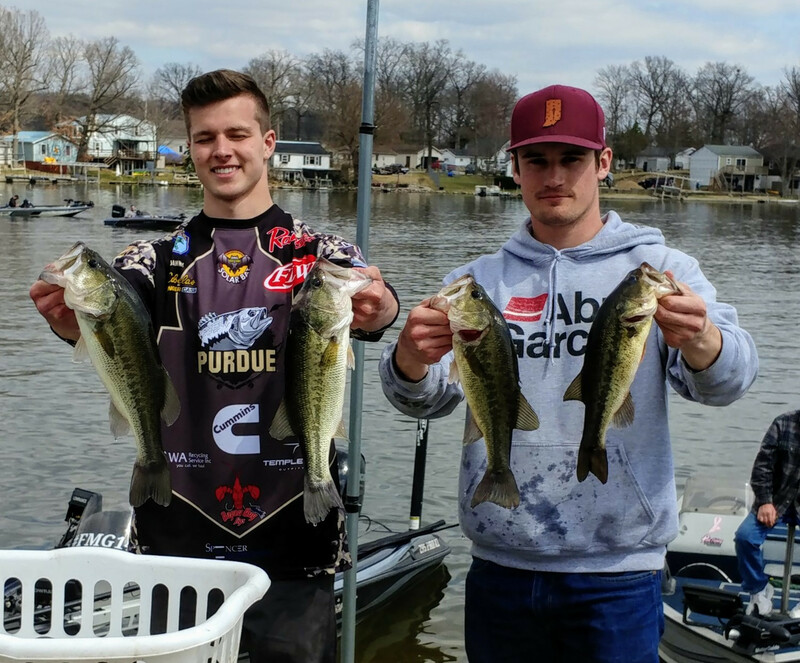 3rd Place: Evan Timmons and Danny Mohan caught a keeper early in the tournament among some lily pad stems on a finesse jig, but struggled mightily after that. 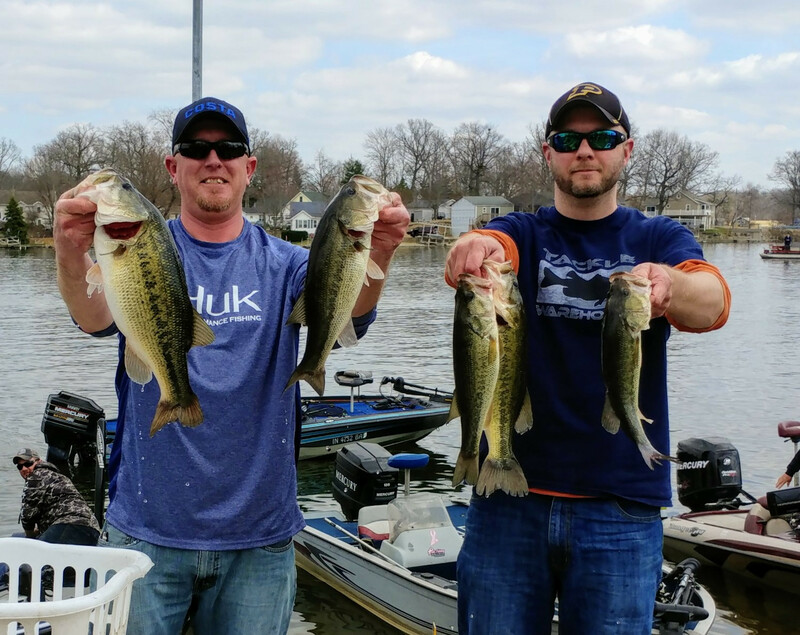 With just 40 minutes remaining and just 1 fish in their livewell, they returned to the same lily pad and plucked 4 more keepers with a Texas rigged creature bait and a Texas rigged Senko with a 1/16 ounce sinker. Their best five weighed 9.36 pounds, which won them $210. 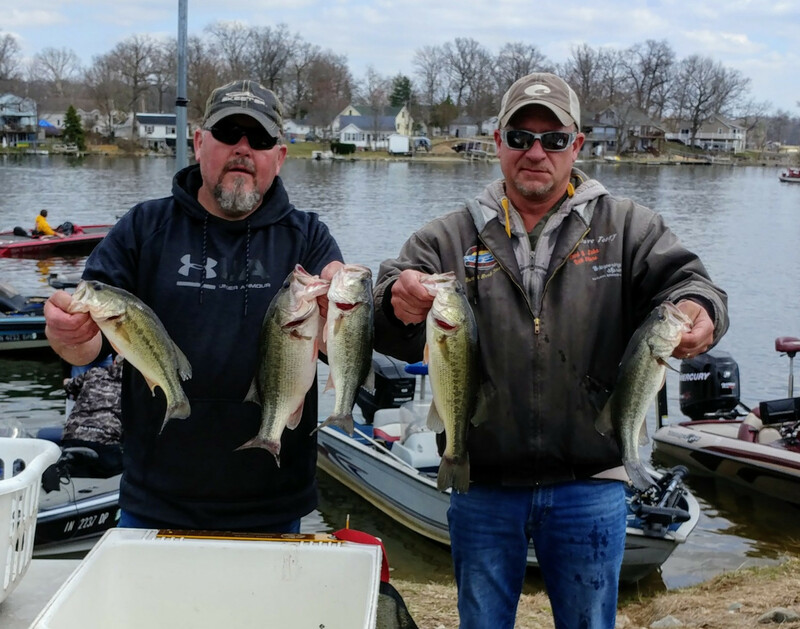 5th Place: Aaron Krider and Bob Bruick only weighed 2 fish, but they weighed 7.64 pounds, good enough for fifth place! Included in their bag was the Big Bass of the Tournament - a 5.13 pound tank. The big fish netted them $305 while the high finish snatched them another $110. 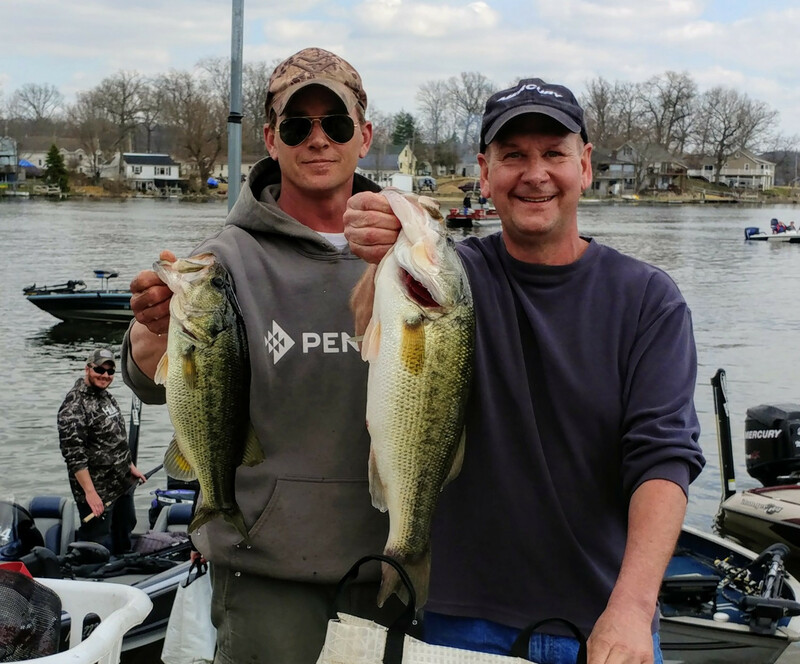 4th Place:A 9.33 pound limit scored Ryan Kline and Dave Terry $145. 6th Place: Record holders in nearly every category, Steve Kline and Mark Farver, bagged a 7.50 pound limit and won $95. 2nd Place:The father-son duo of Mike and LaVon Raber brought 9.93 pounds to win $350. They began the morning by running a few stretches of sea wall with chunk rock and quickly caught their first keeper on a Secret Lures MVP swim jig. Unfortunately, that was the only keeper until 10:30. 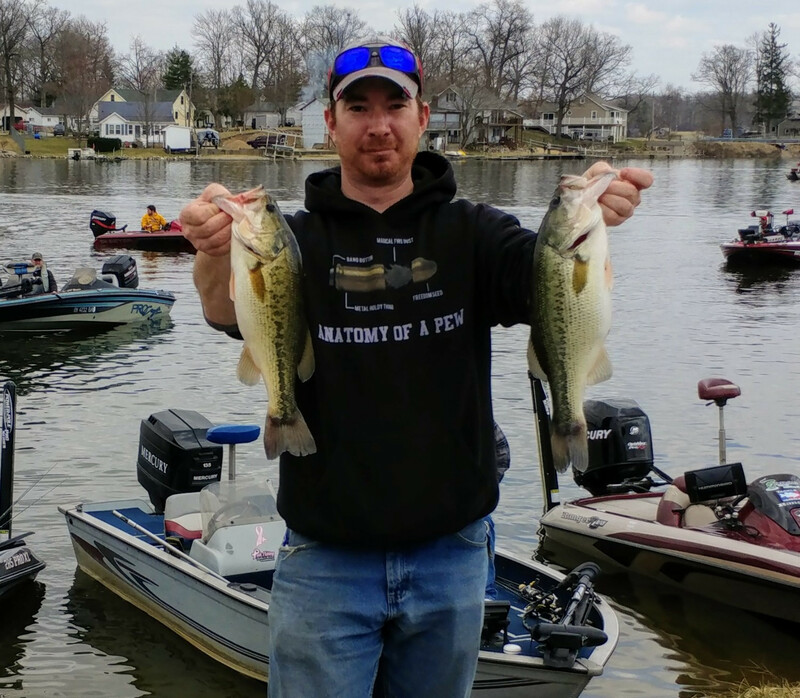 7th Place: Jonathan Myers fished solo and still managed a 6.87 pound bag of fish to win $80.